What the scammer hell is happening Mr. Fenty? 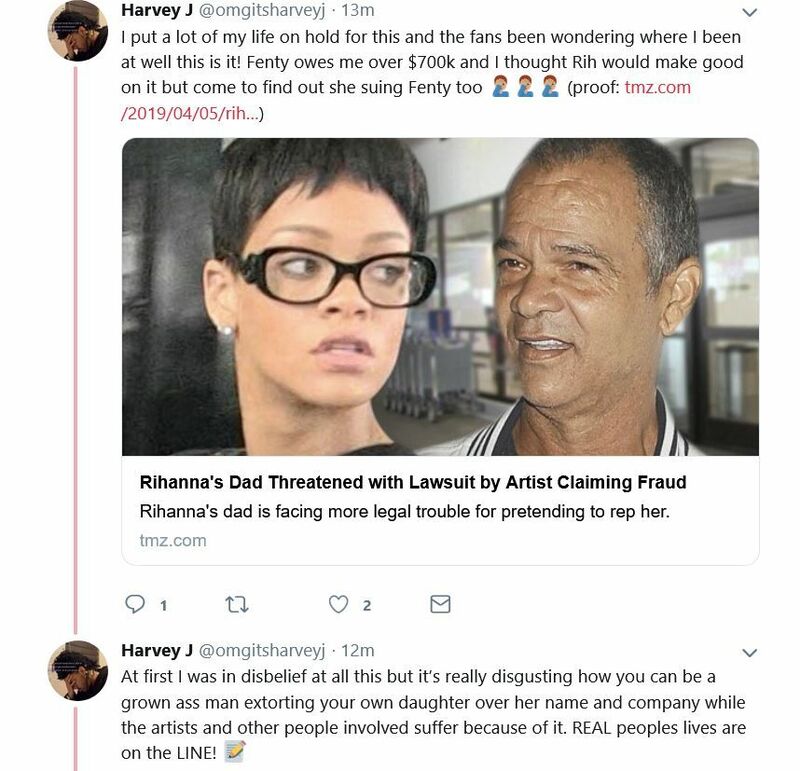 Rihanna's father, Ronald Fenty, has been plotting and scheming using his daughter's likeness to make some extra cash, this according to his own pop star daughter. Now, he's being lit up with lawsuits for his scammer antics. Back in January, the "Work" singer sued her pops and a company called Fenty Entertainment. In the suit, Rihanna alleged her father teamed up with a man named Moses Perkins to create an entertainment company and has "been soliciting business acting as agents of the singer." Rih's dad and Moses made bookings for a multi-million tour in Latin America and two concerts, possibly promising a pop up from Rihanna herself. That's not all they were allegedly doing either. YouTube star Chef Henny (real name Harvey Justice) is suing Ronald Fenty for the same reason RiRi is. He claims Ronald told him Rihanna played a central role in the company and wanted to do business with him. 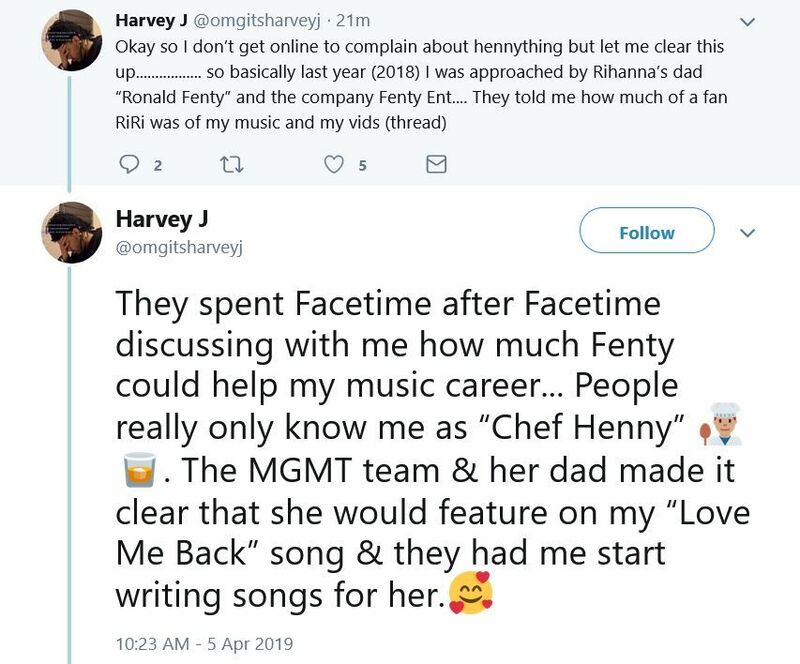 In April 2018, Chef Henny reportedly signed with Fenty Entertainment and was promised a $750,000 market budget. Apparently, he only received $50,000 from the lump sum. When Chef Henny asked him about the rest of the money, Ronald reportedly told him it's being held up by a South American investor. High powered attorney Alex Spiro is representing Chef Henny. He wants the money he was promised, plus additional damages. 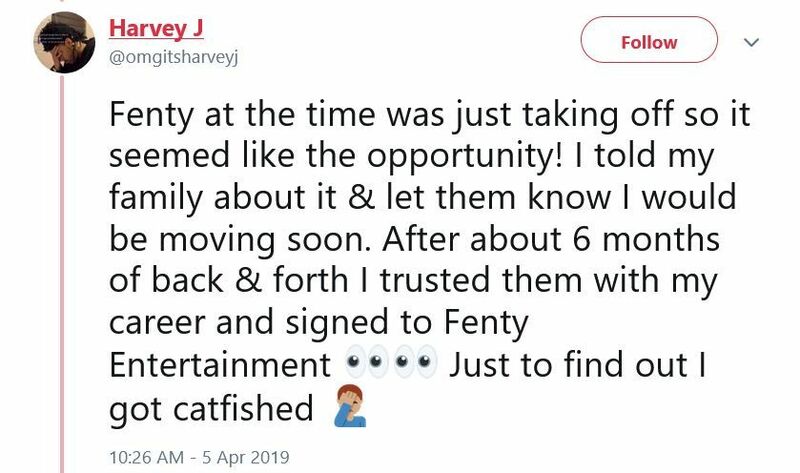 In a series of tweets, Chef Harvey claims he was promised that Fenty Entertainment would catipult his music career, that Rihanna would do a feature on one of his tracks and that he would start writing songs for the Bajan beauty. Tell us in the Yappa app below if you believe Chef Henny & Rihanna claims!